For the second year in a row, the Driftwood is spearheading a Greening Salt Spring clean-up campaign. In the next three weeks leading up to Earth Day on April 22, we encourage individuals, school classes and groups of any size to head outdoors and commit to ridding island roadsides and beaches of trash. Because we want to give recognition to those who participate and feel the collective accomplishment of the island being cleaned up, we ask that you let us know what road or area you intend to tackle. Last year’s inaugural effort saw some 60 individuals and groups plus three schools contribute. We hope to top that number and cover even more of the island this year. The Chamber of Commerce is also planning an Earth Day Ganges clean-up blitz, and lots of volunteers will be needed for that effort as well. There are several good reasons to undertake an annual community clean-up. Wildlife and pets can become ill from ingesting items like cigarette butts or bits of plastic they may mistake for food. Quite obviously, garbage just looks repulsive, whether to residents or visitors. And people prone to littering are more likely to do it if they see an area has already been despoiled. The issue of plastics in our marine environment has made headlines in recent years as more is learned about the scope and impacts of the problem worldwide. According to the non-profit Plastic Oceans group, an estimated eight million tons of plastic makes its way into the planet’s oceans each year. Marine life becomes ill or dies after eating plastic assumed to be food, and plastic ends up in the food chain and is ultimately consumed by seafood-eating humans too. Plastics in all forms and sizes constitute a significant amount of Salt Spring’s roadside and beach litter and it’s easy to see how its migration to the ocean can be prevented by regular clean-ups. While reducing or eliminating the use of plastic is the only ultimate solution, ensuring plastic doesn’t get into the marine environment is the second-best action we can take. Laurie’s Recycling and Waste Services has offered to cover the disposal cost of trash collected in this year’s Greening Salt Spring campaign, so that’s one more reason to sign up. 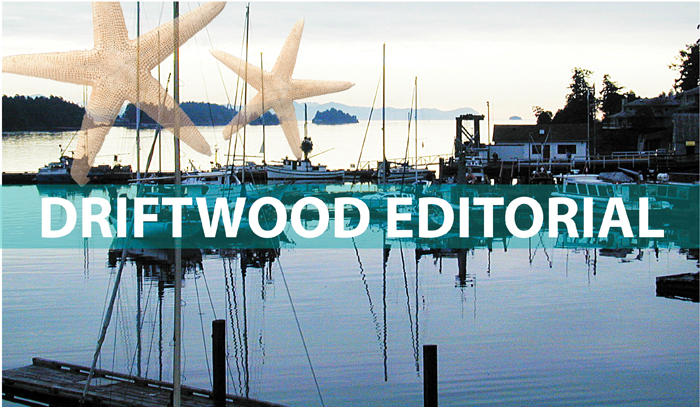 Contact Elizabeth Nolan at enolan@gulfislandsdriftwood.com or drop by the Driftwood office to get your name on the list!